Dr Rosie Scott, AM, is an internationally published novelist, who has also worked in many other fields centring around human rights and social justice. Her latest novel Faith Singer was included in an international list of ‘50 Essential Reads by living Writers’ compiled by the Guardian, Orange Prize Committee and the Hay Literary Festival. Check out the full list. The other Australian writers were Tim Winton and J. Coetzee. Faith Singer was also included in the 200 top literary Australian works compiled by CAL for their Reading Australia project. She has been a judge of many literary awards including the Steele Rudd Literary Award, the NSW Premier’s Award, Christina Stead Prize, adjudicating on the Kenneth Slessor Prize of the same year, the Australian Society of Authors’ Barbara Jefferis Award and is at present one of the judges appointed for three years for the Nita Kibble Award. She was also asked to be a judge for the Prime Minister’s Literary Awards for 2014 but the new Abbott government opted for more ‘like-minded’ judges. In this historic anthology, Rosie Scott and fellow editor, Anita Heiss gathered together the work of twenty of Australian’s finest writers both Indigenous and non-Indigenous together with powerful statements from Northern Territory Elders to bring a new dimension and urgency to an issue that has remained largely outside the public radar. A Country Too Far is the acclaimed anthology which she coedited with Tom Keneally and which features some of Australia’s best known writers including Geraldine Brooks, Anna Funder, Raimond Gaita, Gail Jones Les Murray, Dorothy Hewett, Rodney Hall and Christos Tsiolkas. Glory Days, her first novel was published in the International Crimes Series in UK, Germany and USA, shortlisted for the New Zealand National Book Award, voted in the Top Ten Kiwi Rock Books and nominated for the List of Books you must read before you Die - a must read list of New Zealand and Australian titles. 2011 Bookbloggers’ choice: Must Read Literary Fiction recommended by ANZLitLovers and Reading Matters. She took part in the pilot scheme of the mentoring program for ASA and has been a mentor and supporter of a long list of young and novice writers, many of whom went on to become established writers. Some of the many books she has helped with include those of friends and family, for example Georgia Blain's Closed for Winter, Anne Deveson's Resilience, Dorothy Hewett's Neap Tide, Bella Vendramini's Biting the Big Apple, and Danny Vendramini's Them and Us : How Neanderthal Predation Shaped Modern Humans. She has been been in on the very early planning stages and/or initiated many social justice campaigns throughout her life including Women for Wik, Australians for a Fair Australia, Citizens for Democracy and the public letter to Howard over cuts to the ABC signed by hundreds of Australian artists from Regurgitator to Arthur Boyd. In the last decade as well as the two anthologies she coedited, she has helped to organise book launches, newspaper ads, demonstrations and made countless public speeches all over Australia, including outside Baxter detention centre, in her continuing opposition to the treatment of asylum seekers. On Australia Day, 2016, Dr. Rosie Scott was awarded Member (AM) in the General Division of The Order of Australia Honours in recogniton of 'outstanding achievement and service to Australia and humanity'. Her novels have been finalists in most major book awards including, the NSW Premiers Fiction Award, Banjo Patterson Writing Award, The National Book Award and The New Zealand National Book Awards. Her stage play won the Bruce Mason National Playwrights' Award and was later made into a movie, Redheads which won five international awards in Japan and France. Recipient of three literary fellowships and a UWS university scholarship for her doctorate. "Rosie was at the centre throughout, inspirational, tireless, creative, utterly committed and highly effective. She has shown how a writer can be a powerful activist. She made a huge and essential contribution to the work of Sydney PEN and continues to do so." Nomination for a Human Rights Medal nomination together with Tom Keneally for their work on detained writers and the anthology, which was also cited by the judges as instrumental in earning a Community Human Rights Award for Australia PEN. In 2012 she was awarded a Lifetime Membership for her work for PEN. See Denise Leith's summary of her work for PEN. 2012: nominated as one of the 100 most influential people in Sydney for her educational work - mentoring, teaching and the work she has done in public education about asylum seekers. Awarded the 2015 STARTTS Humanitarian Award for exceptional positive contribution towards refugee issues, in particular, the two anthologies co-edited with Tom Keneally. Served on the Committee of Management and on the Executive of the Australian Society of Authors for ten years, during which time she was elected Chair. Appointed to the Permanent Council of the Australian Society of Authors. Served on the Sydney PEN committee for eight years, established and chaired Writers in Detention Committee with Tom Keneally,with whom she edited an anthology of refugee writing,Another Country and was elected Vice President of Sydney PEN. Co–founded the national reconciliation organisation Women for Wik ten years ago and continues on the committee. Partially-completed Degree in Social Work from Massey University. 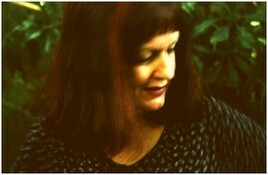 University tutor in creative writing at UTS since 2004. Travelled and worked in Britain, Europe, the Pacific as well as New Zealand and Australia at jobs which included many years as a counsellor and a social worker. She also did publishing and newspaper work in Australia and Britain and casual jobs like fruit-picking, waitressing and stand-up comedy to supplement her writing- a total of around thirty jobs before becoming a full time writer. She comes from a well known literary family in New Zealand and has been writing since childhood. She came to Australia in 1987 and now has dual New Zealand/Australian citizenship. She was married to Danny Vendramini, a science writer and they have two daughters Josie and Bella and two granddaughters Siona and Sabela. She lives in Sydney. starting with her celebrated novels, Faith Singer and Movie Dreams. Among Rosie's many talents, she is also an extraordinary mentor, teacher and literary editor, having guided a number of writers in their literary endeavours.